Picture Book Love #4: Celebrating picture books that are just too good not to gush over. 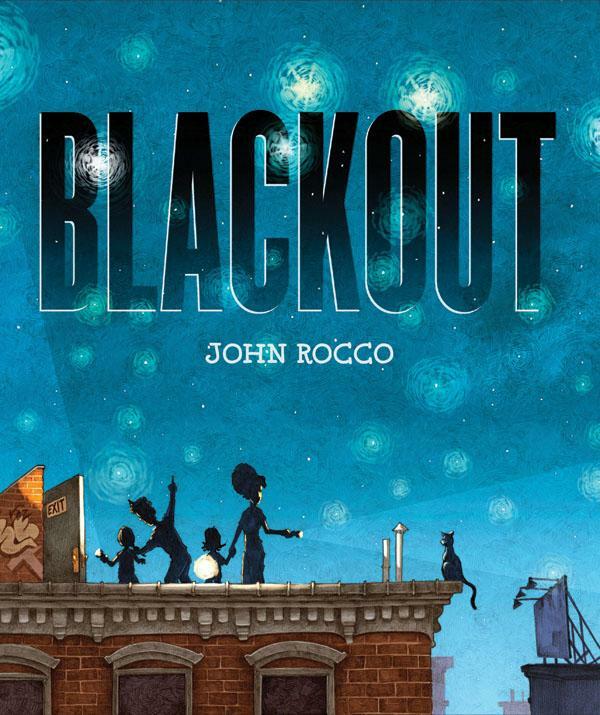 Blackout by John Rocco is not just visually gorgeous (It is a 2011 Caldecott Honour Book after all), it also reads bearing gifts. 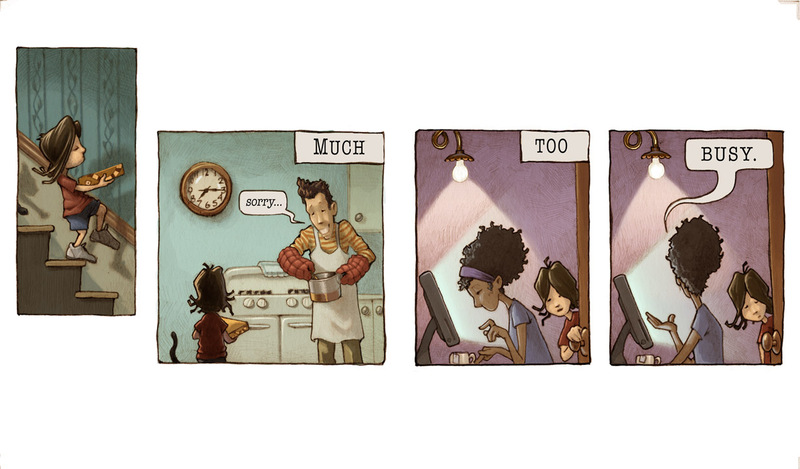 It reminds us to take and honour the gift of time, the gift of family, the gift of slowing down and being in the moment. And it does this without being preachy, sappy or judgemental. It just shows us that busy often gets in the way of family time and removing ourselves from the busy world can be possible, right at our own kitchen table. The story starts out letting us peek into the windows of a family’s apartment. Everyone busy. Computers. Cooking. Chatting on the phone. Don’t disturb. Leave me alone. No time for a game that the youngest family member wants to play. And then . . . A blackout. No power. No lights. Nothing works but . . . time. Flashlights and candles make the dark, quiet world go from scary to cozy. But the muggy summer heat soon leads the family to the rooftop where starlight creates an art filled sky of wonder. Now nobody is busy and the family revels in time together. When the lights come on again, the family is not ready to give up the special closeness the blackout created. 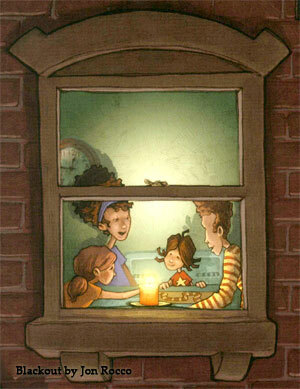 Family game time by candlight is first on the “to do” list. This book reminds us to look for wonder in the simple and everyday and to treasure family time above all else. Because everything can get in the way. But only if you let it . . . This entry was posted in Picture Book Love and tagged Caldecott Honour, favourite illustrators, fiction, great read alouds, John Rocco, making connections, Picture book love, picture books by carriegelson. Bookmark the permalink.